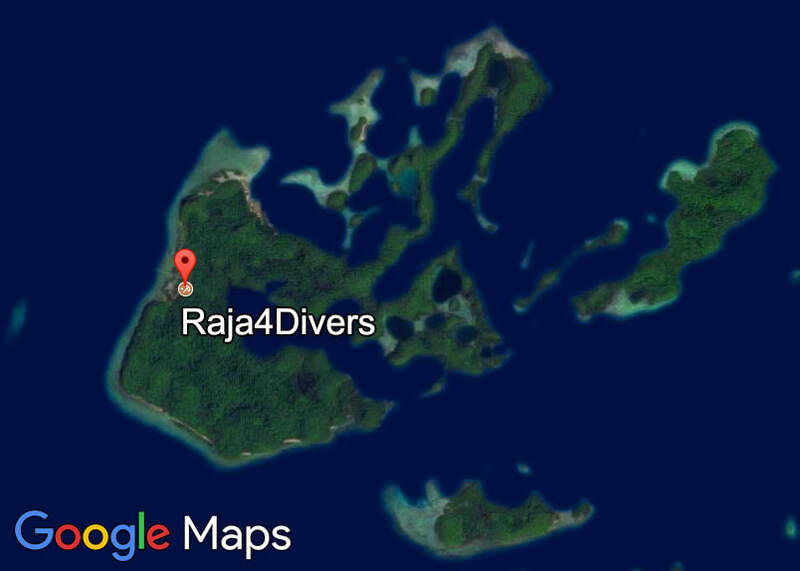 The Raja4Divers dive resort is situated on the private island Pulau Pef which is quite simply one of the most beautiful islands in Raja Ampat. 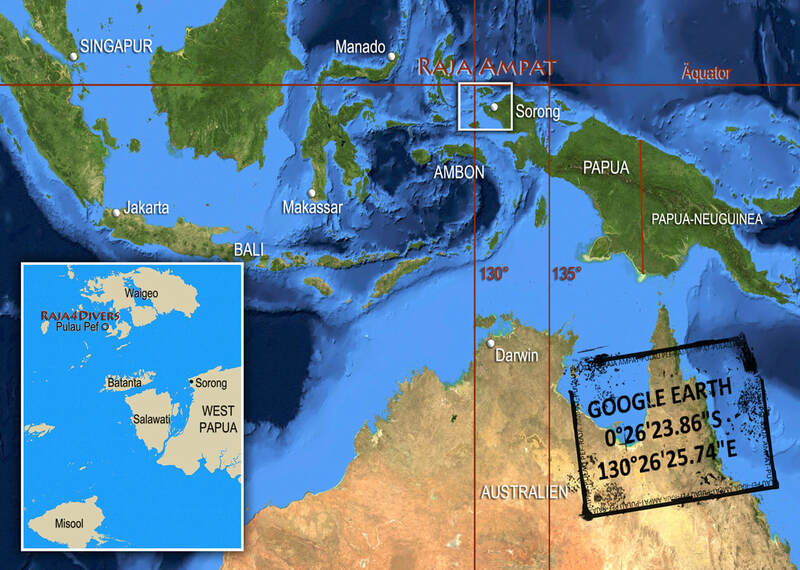 Pef is located 48km (30mi) south of the equator, in central Raja Ampat, almost touching Gam island to the east, north of Dampier Strait and east of Fam islands, with Wayag to the north west. ​Dripping in lush virgin tropical jungle, the island is just waiting to be explored: spectacular bays, many smaller islets, blue lagoons, white sand beaches, hidden lakes, 'mushroom' outcrops, ancient rock art on karst cliffs, pristine blue waters, mangroves and incredible variety of exotic birds, monitor lizards and cuscus. The beauty above water is even topped by the unmatched underwater diversity. Pulau Pef is surrounded by the world's richest reefs. 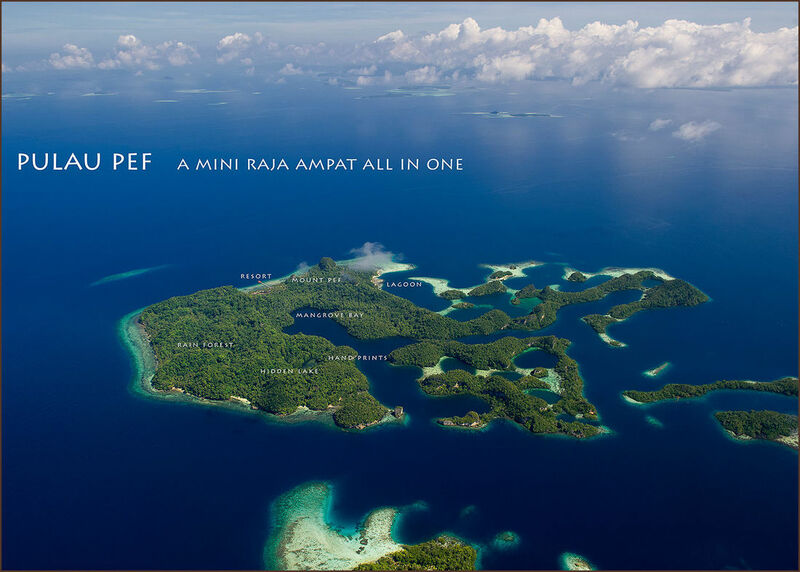 ​a "Mini Raja Ampat" all in one! Long, long time ago, as legend would have it, Pulau Pef was a large compact mass of land ruled by a Raja (King). 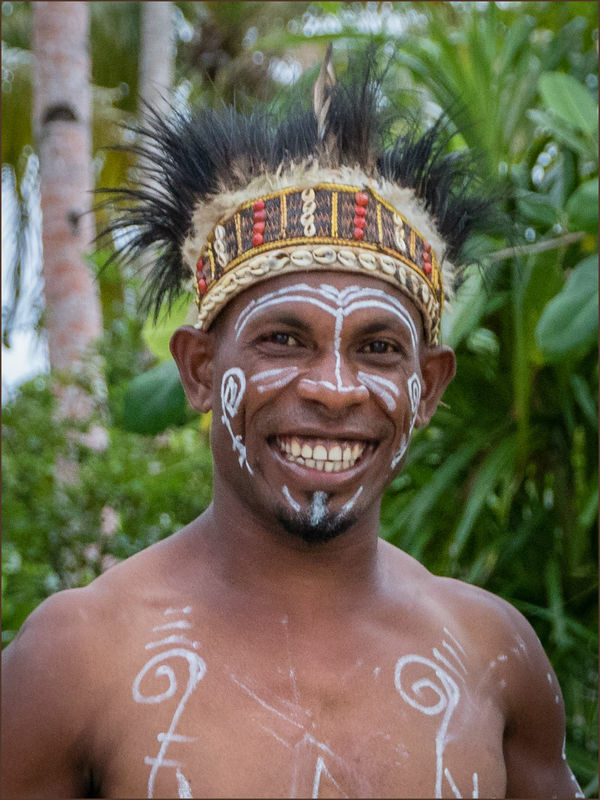 One day, the Raja was awoken by a loud noise from the nearby Fam islands and he overheard the people of Fam discussing how they would overthrow him. 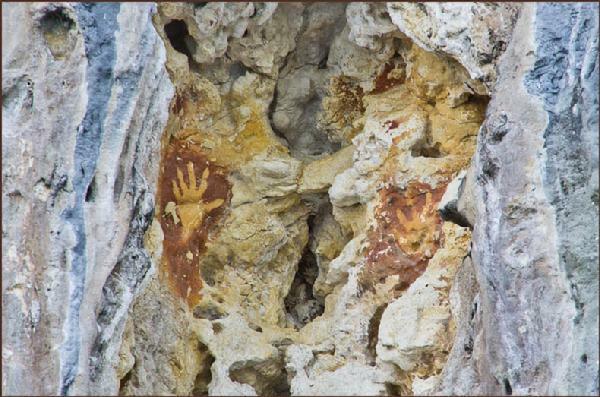 Tears running down his cheeks and in a fit of rage, he smashed his hands against the side of the cliffs of Pulau Pef. The force was so powerful, that the island splintered and formed many small islets and bays. The Raja vowed that from that day forward, he would always watch over Pef.